Champions League heroes Eidur Gudjohnsen, Gaizka Mendieta & John Arne Riise travelled to Kiev as Ambassadors for Nissan for the Real Madrid v Liverpool Final in May. We took along our 3 legends as guests for Nissans Champions League Final activity, including interviews and football skills in the sponsors Hub, and a live 2 day streaming for goal.com which attracted millions of hits around the world. 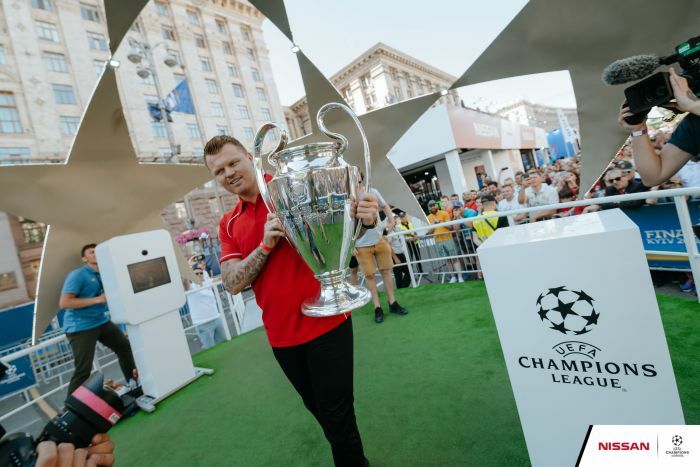 John Arne Riise had the pleasure of delivering the trophy from the Fans Village in the centre of Kiev to the stadium in a specially designed Nissan half car!